Wonderbound in Garrett Ammon’s Boomtown with Chimney Choir. Pictured: Sarah Tallman and Ben Youngstone. Photo by Amanda Tipton. 2018. Wonderbound in Garrett Ammon’s DIVISIONS with Flobots Photo by Amanda Tipton. 2017. Get beauty in your inbox! Sign up to receive news and updates about Wonderbound goings-on. We respect your privacy. Wonderbound does not sell or share its contact lists. Thank you! Check your inbox to verify your subscription to Wonderbound’s newsletter. Wonderbound's Sarah Tallman and Damien Patterson rehearsing Garrett Ammon's Aphrodite's Switchboard. Photo by Amanda Tipton. 2018. All Wonderbound studio rehearsals are open to the public! 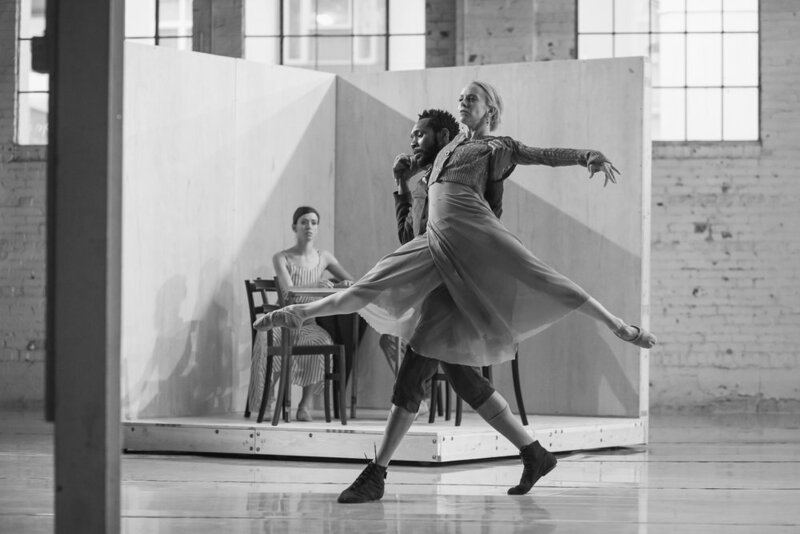 Wonderbound embraces the sharing of its creative process with the outside world through an open door policy. You are welcome to visit any of our rehearsals at our studio in the RiNo Art District. Bring a lunch, stop by on a break, or drop in after work and see Wonderbound’s creative process first-hand. Wonderbound is a 501(c)(3) nonprofit organization. Each year we bring the wonder of dance and live performance to over 30,000 people—from school children to senior citizens—in every socioeconomic sector. This important work costs $48 per person annually, an amount that is simply beyond the means of most people that we serve. We exist through the generosity of people like you.